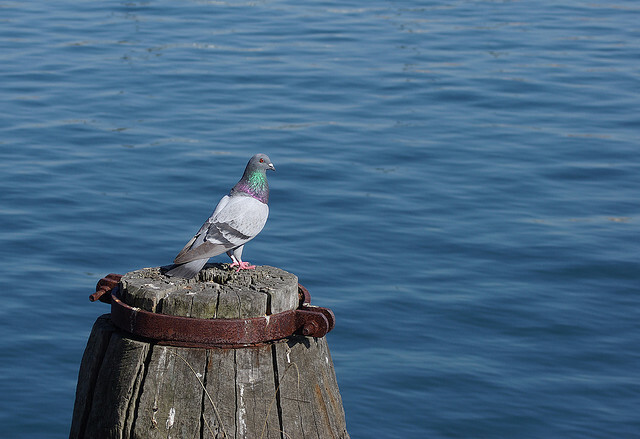 The Rock Dove is the wild dove-species, from which the City Dove or Feral Pigeon has descended. The wild version is difficult to recognise. 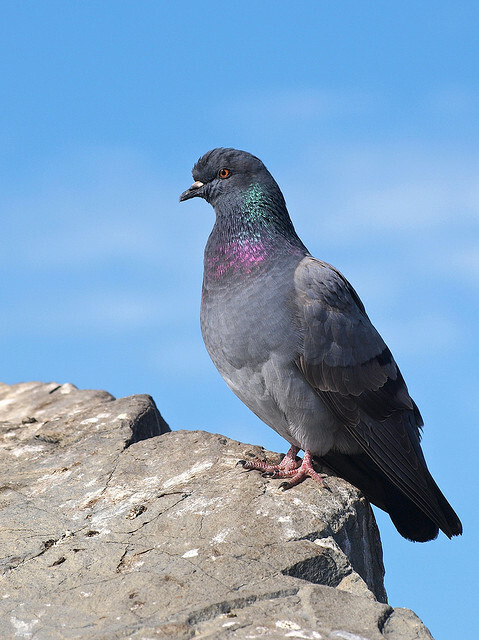 Rock Pigeons breed on cliffs in the Mediterranean, but there is also a small population on the Scottish and Irish coasts.